Cygnet Hospital Colchester, formerly known as Fairview Hospital, is a 57 bed service providing a range of intensive support and rehabilitation services for men with learning disabilities, autism spectrum disorders or mental health needs, and women with a diagnosis of personality disorder and complex mental health needs. The aim of our services is assessment, stabilisation, treatment and engagement, with a view to supporting service users in the least restrictive environment appropriate to their needs. Our services are recovery-focused, with the aim of preparing individuals for a move to rehabilitation or step-down services, and ultimately, back into the community wherever possible. 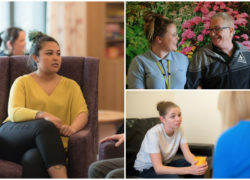 Our comprehensive in-house multi-disciplinary team includes Psychology, Speech and Language Therapy and Occupational Therapy, alongside psychiatry, nursing and support workers. 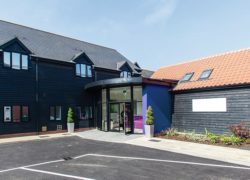 We are delighted to announce that Ramsey Unit, our new high dependency inpatient rehabilitation service for men at Cygnet Hospital Colchester in Essex, is now open and is accepting referrals. We are pleased to announce the opening of two new acute emergency admission services for women. The two new services are Anderson Ward at Cygnet Hospital Wyke in West Yorkshire and Flower Adams Ward 1 at Cygnet Hospital Colchester in Essex.